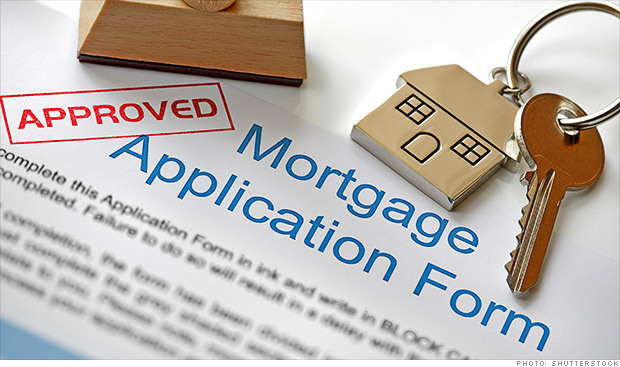 When you’re struggling to pay your mortgage, any offer to modify your loan seems like a lifeline. Before you grab hold, make sure it’s in your best interest. When you can’t pay your mortgage, there’s no shortage of people who will call, write, or show up at your door offering to help you work out your problems, including your lender, credit counselors, and even scam artists. So how do you know what’s right for you? Asking these 9 questions will help you sort out which mortgage modification offers are legitimate, and which are not in your best interest. 1. Is there a fee involved? Any mention of a fee should send you into full scam alert. Only a phony foreclosure counselor working a foreclosure assistance scam asks for a processing or administrative fee up front. Legit lenders, lawyers, and housing counselors do not charge up-front fees. What you’ll want to hear: There’s no fee. 2. How will my monthly mortgage change? If you can’t afford your new monthly payment, you’re going to fall behind and lose your home to foreclosure anyway. What you’ll want to hear: A monthly payment that’s within your budget. If you can’t get the lender to give you a payment you can afford, you probably won’t be able to keep your home unless you can increase your income. Your next best option may be to move out gracefully by doing a short sale or a deed in lieu of foreclosure. Ask if your lender will give you an incentive payment for your cooperation in selling your home via short sale or deed-in-lieu. The incentive could range from $3,000 under the federal Home Affordable Foreclosure Alternatives program to 5% of what you owe on your mortgage. 3. Does the monthly payment include taxes and insurance? If your monthly payment doesn’t include taxes and insurance, you’ll be paying thousands out of pocket for those each year. What you want to hear: Your monthly payment includes taxes and insurance, and the lender is setting up an escrow account where it stashes enough money to pay your property tax and home owners insurance bills. If you have to pay the property tax bill yourself, find out how much it is. Do you have the financial discipline to set aside enough cash each month to cover that bill when it comes due? 4. Am I paying back the full amount I owe, or just what my house is worth? In some modifications, the lender adds your missed payments to the end of your loan term, so you could be making payments for more years than you thought and paying more over the life of the loan than you already owe. Or, the lender may forgive part of what you owe now. For example, if your mortgage balance is $100,000 but your home is worth $80,000, your best deal is one where you only repay $80,000, not $100,000. What you want to hear: You owe only what your house is worth now. Not all lenders will agree to this. Rising home prices or opting for a shorter loan length (for example, taking a 20-year mortgage instead of a 30-year mortgage) may help your mortgage shrink in relation to your home’s value. 5. How will this altered mortgage show up on my credit report? Having your lender report payments made under a modification agreement as “partial payments” can lower your credit score. That can drive up the interest rates you pay on credit cards, car loans, and personal loans. What you want to hear: No, the lender will not report anything adverse about the deal to the credit repositories unless you fail to make your payments. 6. Is my payment change permanent? Match the modification to your circumstances; in other words, keep your payment in line with your income going forward. Say you’ve been unemployed for six months, but you think you’ll find a job within another six months. You only need a reduced mortgage payment for a set period of time, say two years, to get back on track. That’s different than someone who becomes permanently disabled and has to live only on Social Security or disability insurance. That borrower will need a permanently lower monthly payment to match his permanently lower income. What you want to hear: The modified payment plan will last as long as your financial hardship is going to continue. 7. Will you continue to foreclose while we work out a deal? In some states, foreclosures can happen in just a few months. In those states, if your lender doesn’t stop the foreclosure process while you’re making your modified mortgage payments, you could lose your home to foreclosure even when you make every modified payment on time. What you want to hear: The lender will halt the foreclosure process while you’re in the modification program. 8. How will I know that what you’re telling me on the phone is correct? Not all call center employees know what they’re doing. What you want to hear: The lender is going to send you everything in writing to confirm what you’re told on the phone. Better yet, the lender will allow you to use the HOPE LoanPort, a free online tool used by housing counselors and banks to electronically process loan modifications. There’s no disputing whether you sent in the paperwork or what the agreement was when everything is logged into LoanPort. 9. What happens if I don’t make payments after we do these changes? If you can’t make the modified payments, you’ll need time to figure out an alternative, such as a short sale or a deed in lieu of foreclosure. Either is preferable to simply doing nothing and waiting to be evicted from your home via the foreclosure process. What you want to hear: Get your lender to tell you how long it takes to complete foreclosure in your state. The average time to foreclose nationally is over two years, but states set foreclosure rules, so depending upon where you live, you could have anywhere from a few months to a few years before you’re evicted by your lender.